With the constant support of our dexterous workforce, we are able to come up with high-quality USB Data Logger. These products are fabricated under proper surveillance and guidance of highly skilled and well-experienced experts and are properly examined before the final delivery at the client's end. Moreover, these high-quality products assure long durability with high performance. The product has various applications these days and is available these days. 8 Channel Data Logger With Pan Drive LCD Display (4 line, 20characters per line, alphanumeric)Data stored directly in Pen Drive1 no Relays for 1 No.High and Low set limit Each channel will be individually programmable for Span, Zero and resolution setting I/P 3 Wire Transmitter 4-20mA approx. 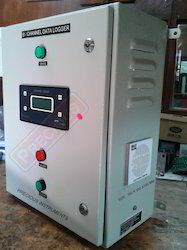 With Inbuilt Supply For Transmitter Display will indicate "HIGH" or "LOW" against the channels causing the alarm. 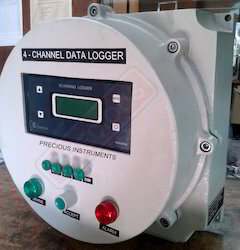 Looking for Process Data Loggers ?